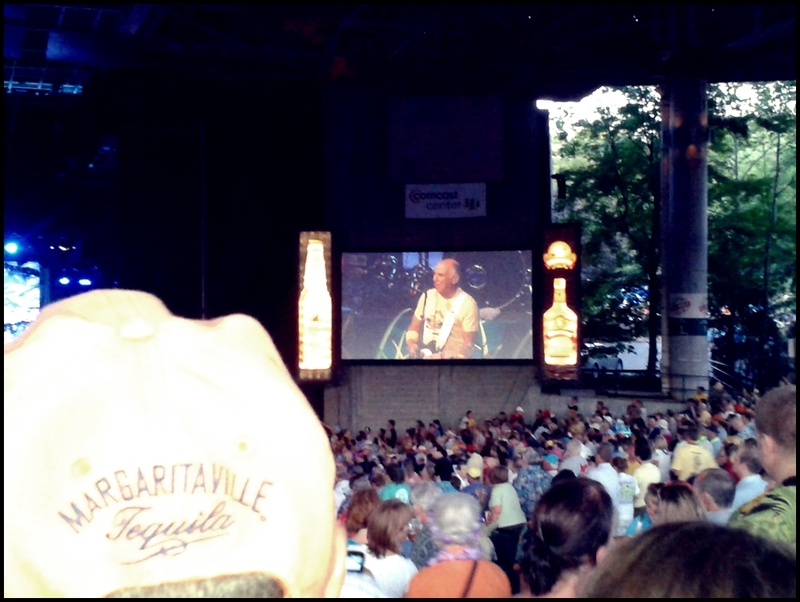 I have been a fan of Jimmy Buffett’s and an official “parrothead” for close to 20 years. My love affair with Jimmy’s “escapism” music started back in 1992. I was 16 years old and a sophomore in high school. I remember listening to “Changes in Latitudes, Changes in Attitudes” for the first time and tearing up because I related so much to the lyrics: “If we didn’t laugh we would all go insane!” Isn’t that the truth? 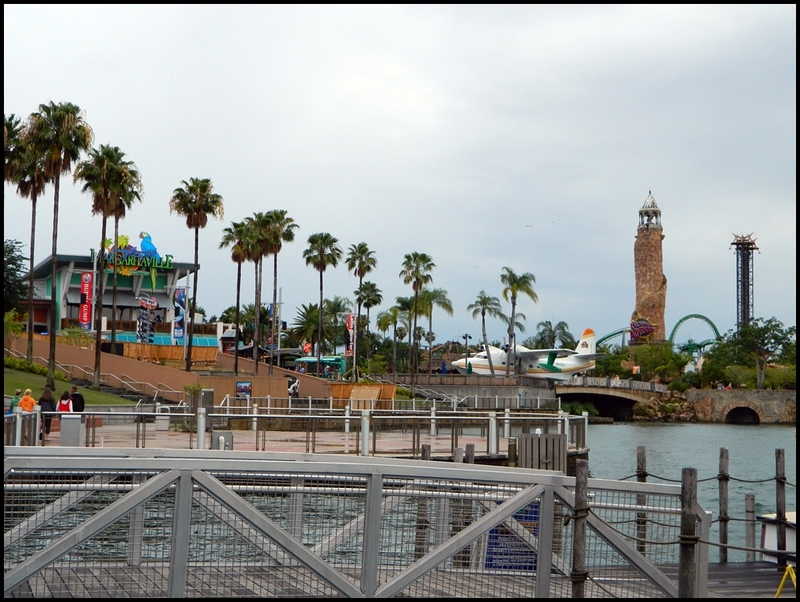 Since discovering Jimmy’s music in 1992 I have had the pleasure of visiting many Margaritaville restaurants throughout North America, with Universal Orlando CityWalk’s location being one of my favorites. 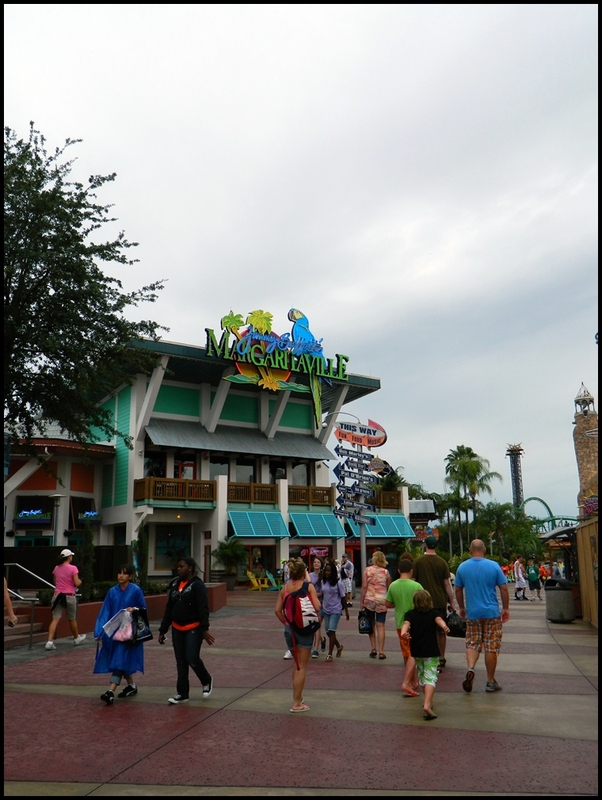 Orlando’s Margaritaville is an an attraction onto itself. This restaurant is massive! 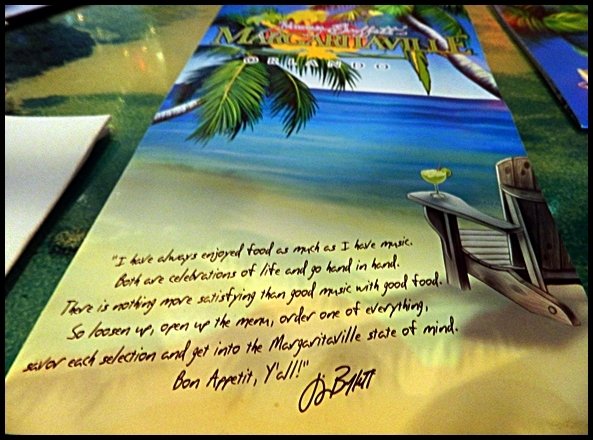 I love seeing the Margaritaville sign in the distance, anticipating the music and delicious food! 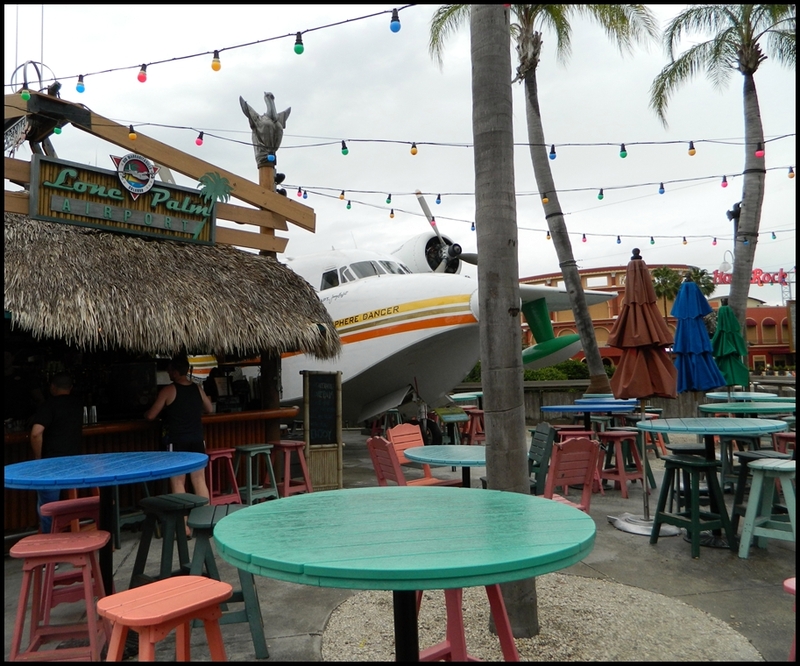 I am always sure to take my time soaking in the design of the building and The Lone Palm Airport, Margaritaville’s newest attraction featuring Jimmy Buffett’s very own seaplane, the Hemisphere Dancer! The 60′ Albatross has landed at the airport next to the lagoon at Margaritaville Universal Orlando! The “airport lounge” serves a variety of drinks and quick bites with plenty of comfortable outdoor seating. Bringing the kids? The parakeet beach area is complete with plenty to keep the kids busy! QUICK FACT: If you haven’t heard Jimmy’s song, ‘Jamaica Mistaica’, you mightn’t be aware it hasn’t always been smooth flying for Jimmy in Jamaica. In 1996, during an island fly-over aboard the Hemisphere Dance, Jimmy and his crew were inspired to touch down on the water just outside Negril to lunch on some Jamaican jerk chicken. Unfortunately, at the time, the local authorities were particularly edgy about contraband being smuggled in and out of the many caves on Negril’s west end. Well, a seaplace anywhere is an uncommon sight but on this day, the picture of the Hemisphere Dance taxiing on the water towards the caves was too much to bear; so the local police opened fire on what they thought to be some “doped-up cowboys”. As it turned out, no one was hurt, at least not physically. As for the Hemisphere Dance, aside from a few bullet holes, she lived to fly another day. My first stop when I arrive any Margaritaville is the gift shop. I always need to find a T-shirt to add to my collection! 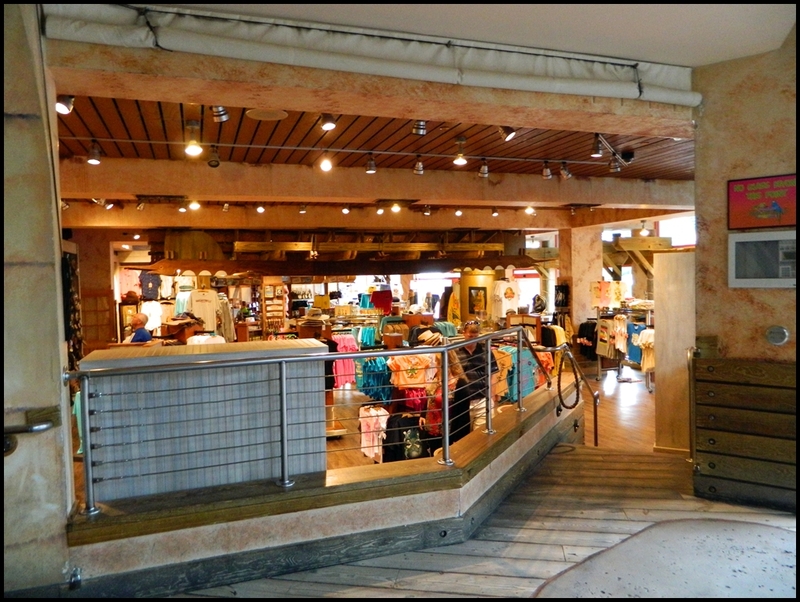 😉 The shop at the Margaritaville in Orlando is huge and has a fantastic selection. I am happy to say I scored a vintage styled T-shirt from the new “A1A” line of T-shirts designed by Savannah Buffett, Jimmy’s daughter. 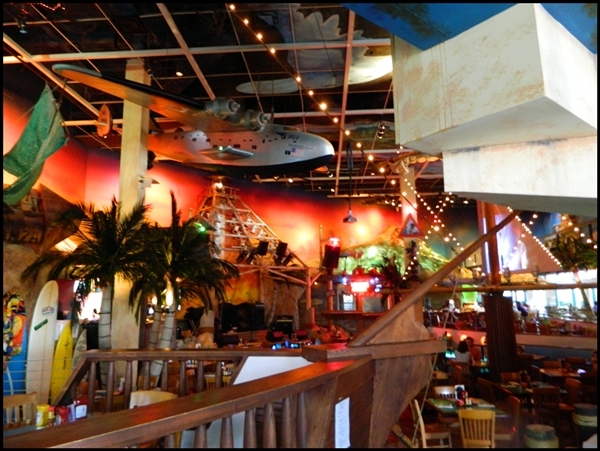 Margaritaville evokes an exciting, party-like atmosphere! The interior makes you feel as if you are on a boat with video’s of Jimmy Buffett (and other artists) projected on the sails of a ship. 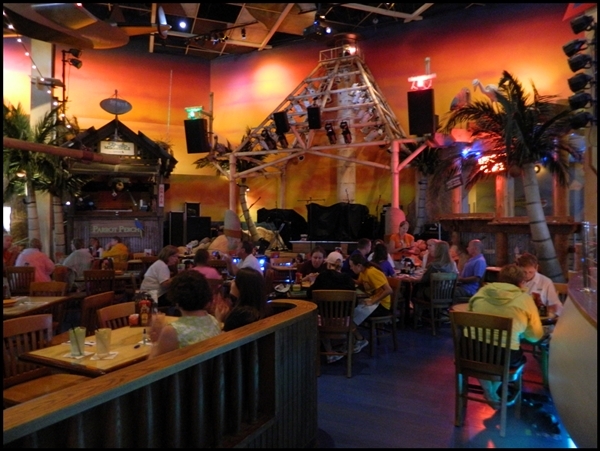 There is a huge stage with live music each night and a Radio Margaritaville booth with live broadcasts. 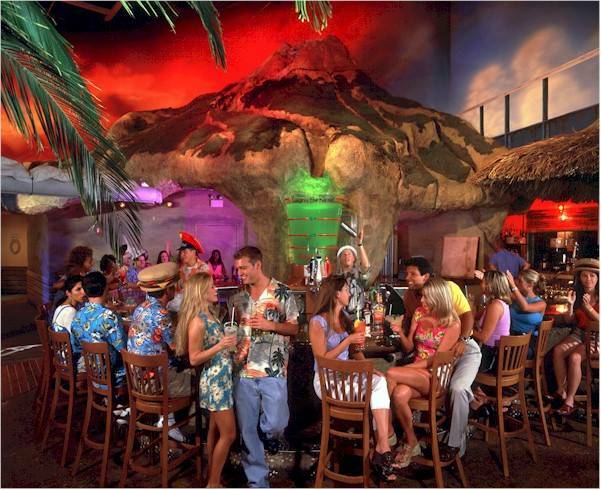 Decor is fun and tropical consisting of surfboards, hanging white lights, a painted map of Florida on the ceiling, tiki huts, a seaplane hanging from the ceiling, a huge Margaritaville blender and volcano that puts on “a show” when Jimmy’s song, ‘Volcano’, plays in the restaurant. There is several levels with indoor, outdoor and bar seating. It is extremely impressive in size! After settling in, my partner and I placed our order. 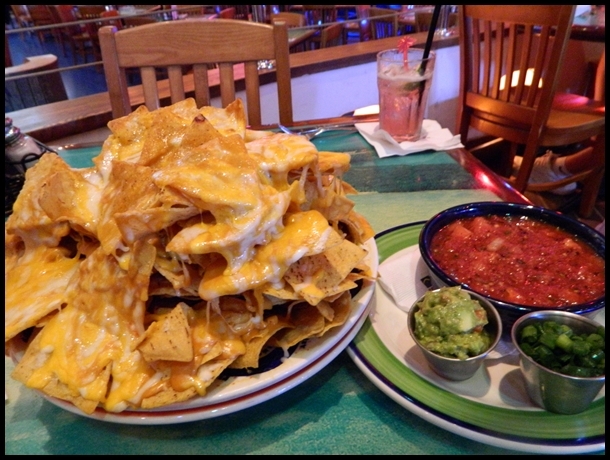 For an appetizer we ordered their Volcano Nachos which come topped with chili, cheese, guacamole, sour cream, jalapenos, tomatoes and scallions. The name “volcano” is very appropriate as the serving size is huge and “exploding” with flavor and toppings! We ordered ours with cheese and the toppings on the side. I also ordered a side salad with honey mustard dressing. 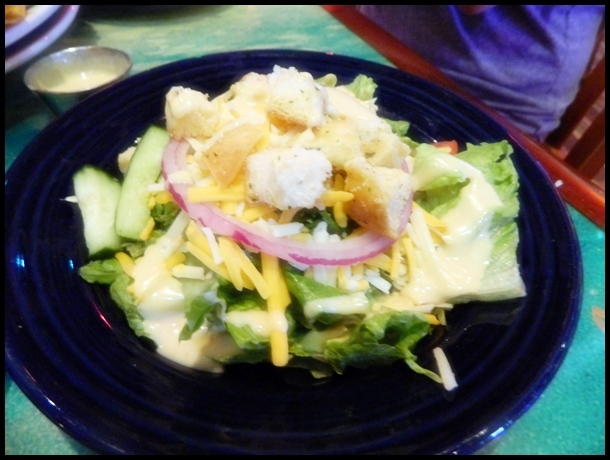 The salad was a normal size, served ice cold and extremely fresh. 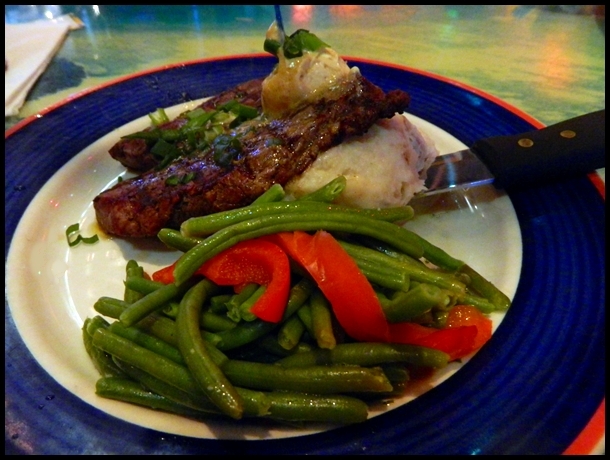 For the main entree I ordered the Sirloin Steak which is grilled and served with Hawaiian butter, mashed potatoes and seasonal vegetables. My partner, Jen, ordered the Crab Cakes, loaded with lump crab and a hint of Old Bay. They are pan sauteed and served with roasted potatoes and seasonal vegetables. My steak was as good as it sounds! Cooked well done, yet moist, the steak dolloped with the Hawaiian butter and scallions truly made me feel like I was in paradise. So delicious! The homemade mashed potatoes were creamy with a garlic flavor. Jennifer absolutely loved the crab cakes. She said they were flavored perfectly and extremely fresh. 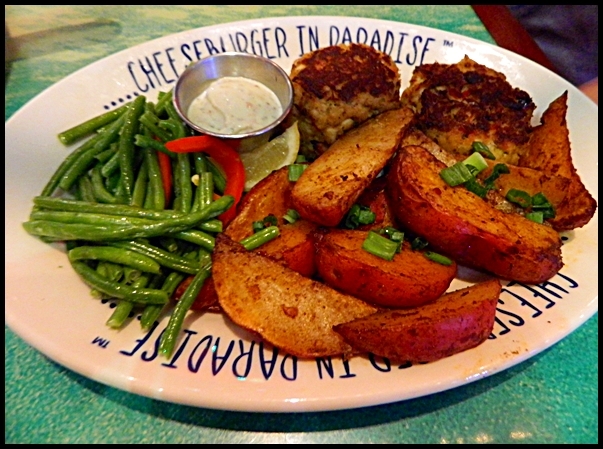 The roasted potatoes were the perfect compliment to the crab cakes. 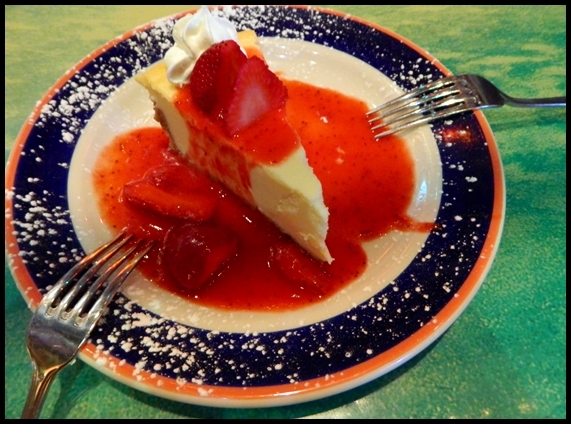 For dessert we shared a slice of the ice cold, creamy, New York style cheesecake topped with fresh strawberries. Oh, and how could I forget the Pomegranate Margarita Jen had?? YUM! Made with Margaritaville Silver Tequila, Margaritaville Triple Sec, Finest Call Pomegranate syrup and the restaurant’s special Margarita mix. Jen raved about how delicious and refreshing it was! Cover Charge: General admission is $7 to the nightclub, but it’s FREE to guests who have a Universal Orlando multi-day park pass! 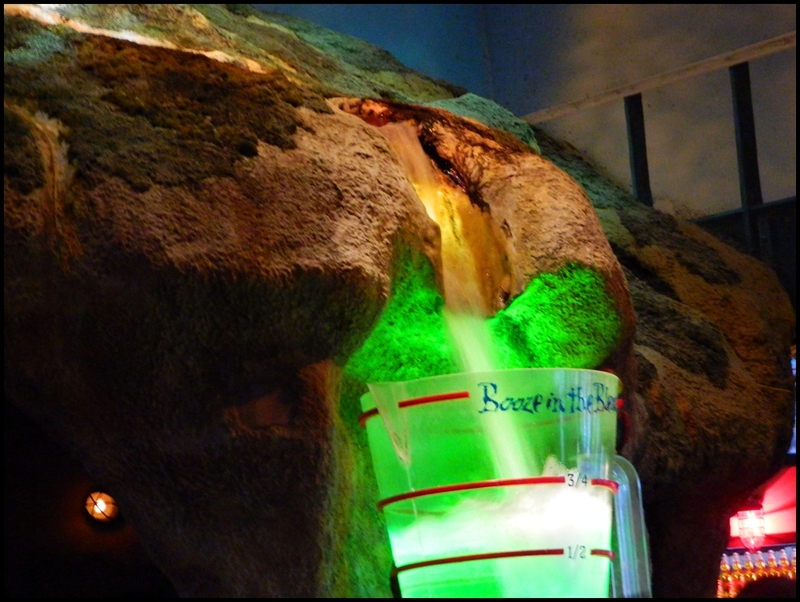 Age restrictions: Margaritaville is family friendly, so all ages are allowed, all the time. They do recommend, however, leaving the kids at home if you’re coming to enjoy the nightclub. Priority Seating: Priority seating is offered as an alternative to reservations. Please call 407-224-2155 for information and availability. 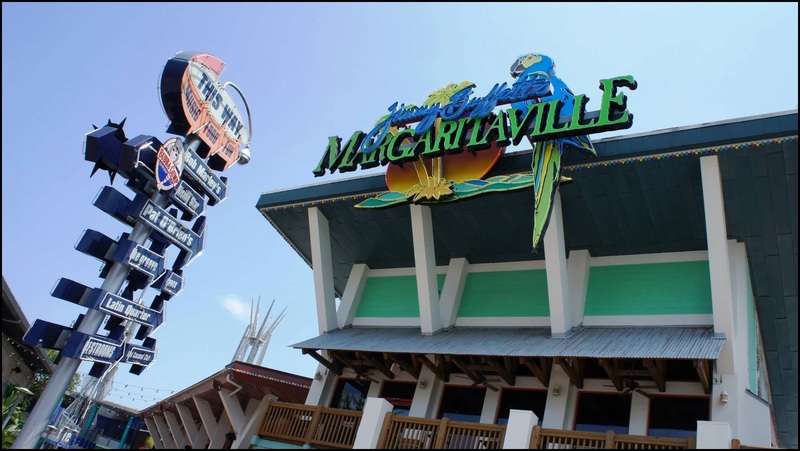 Birthdays: Whether it’s your 5th or your 85th birthday, Jimmy Buffett’s Margaritaville is a perfect place to celebrate your day, and their entertainment crew will make you feel extra special. Regular parking is $15 per car before 6pm. $5 per car between 6pm and 10pm. Florida residents park free after 6pm with proof of residency. Valet parking is available daily at regular Universal Orlando valet rates. 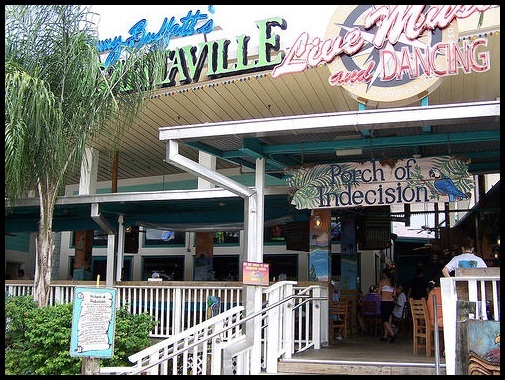 Margaritaville is the perfect place to hold a celebration! Click HERE for more information on group parties and venue rentals. 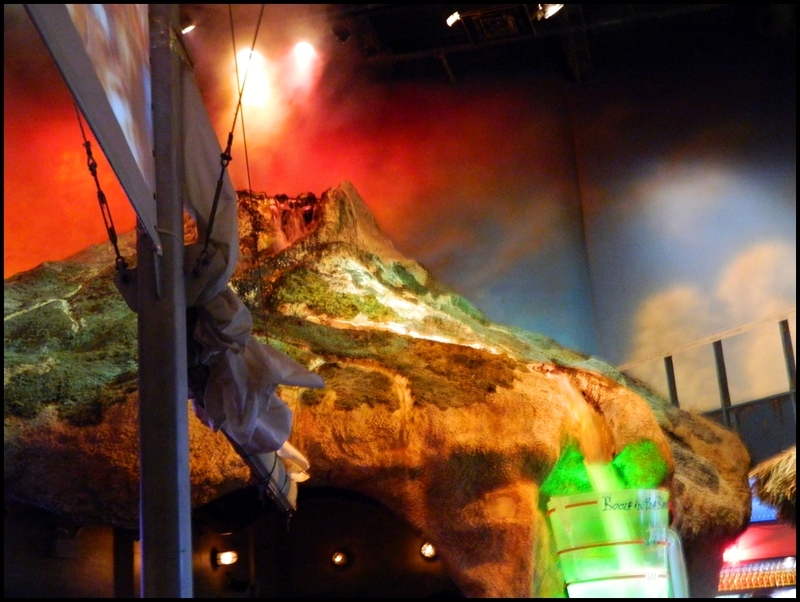 After dinner Margaritaville turns into a swinging nightclub with live bands and dancing! Check out the current list of events HERE. GAY & LESBIAN FACTOR: Anything this colorful, bright and fun HAS to be gay friendly, right? 😉 In all seriousness, Margaritaville is extremely gay friendly and welcoming. With restaurants located in some of the most popular LGBT destinations in the world (Orlando, Key West, Las Vegas, New Orleans, Waikiki, Chicago, Cancun etc.,) there is no doubt a large amount of gay & lesbian clientele. 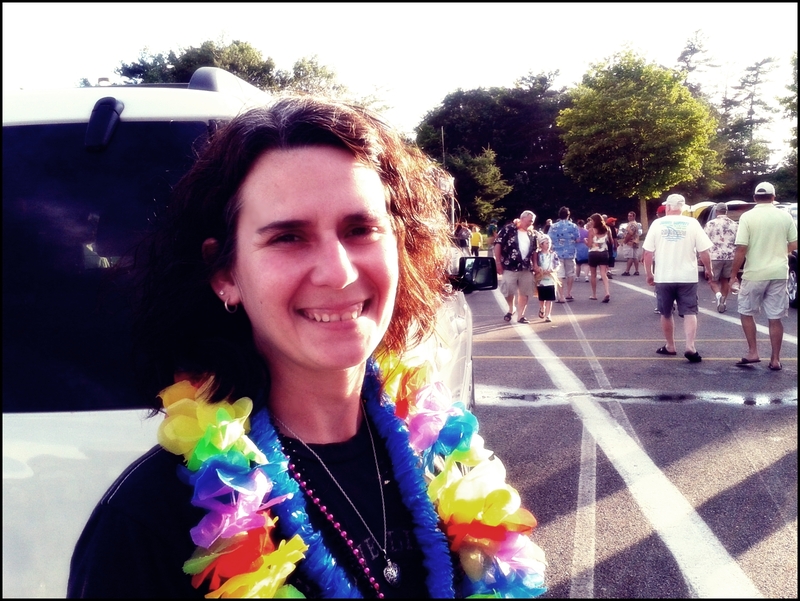 Margaritaville was very eager to be featured on Gay Travel Information’s web site and made my partner and I feel very welcome. 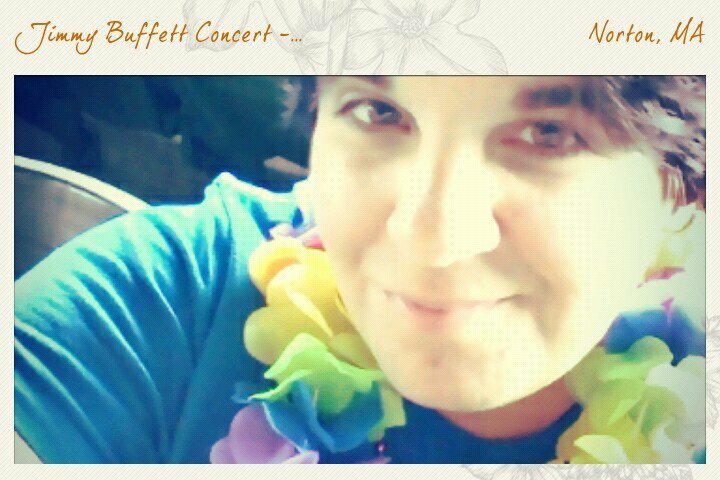 There is nothing that would lead me to believe that Margaritaville is anything but LGBT friendly. 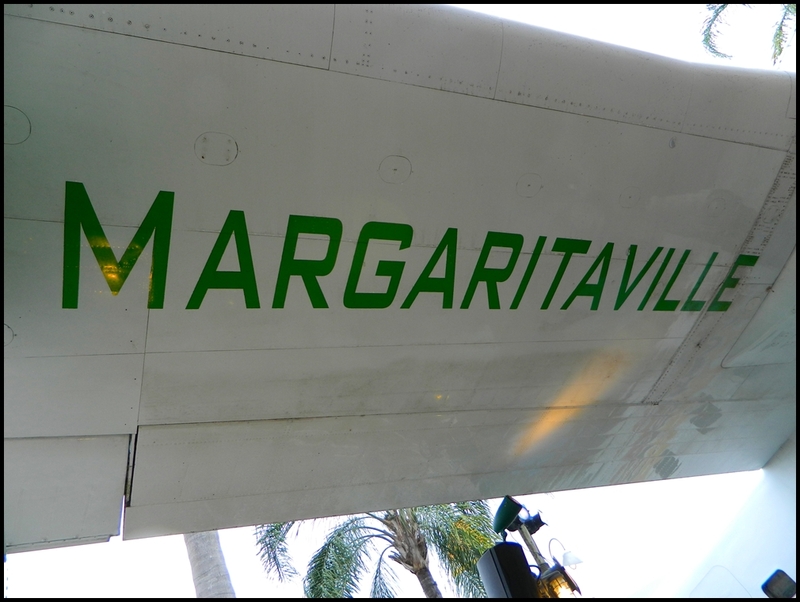 With that said I am officially “OUTING” Margaritaville as a company worthy of our business! I am truly honored to have had the opportunity to review an idol’s restaurant for Gay Travel Information.com. 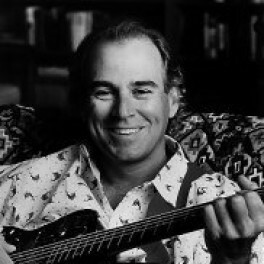 I love everything Jimmy Buffett stands for. Escapism. Travel. Fun. Good food. Good drinks. Good times. Adventures. The beach. Living Life. 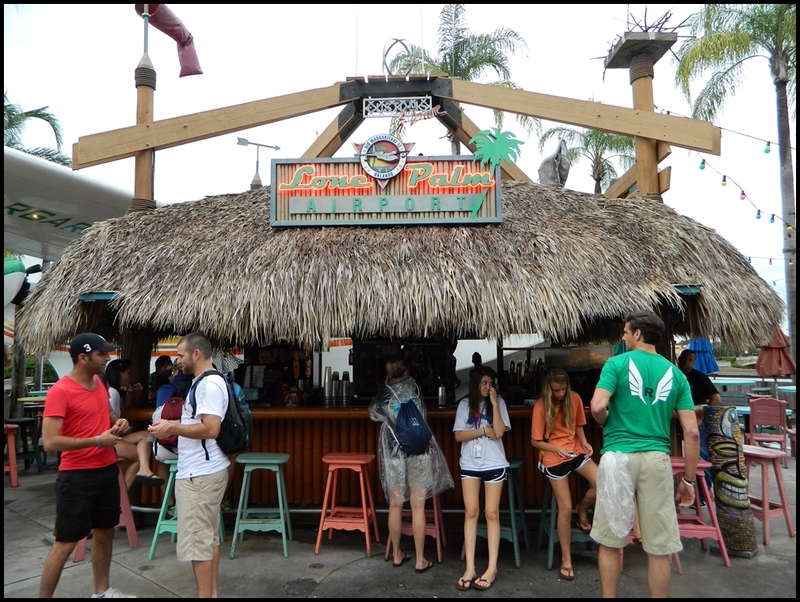 Without a doubt you will feel like you are living life when you enter Margaritaville! “I have always enjoyed food as much as I have music. Both are celebrations of life and go hand in hand. There is nothing more satisfying than good music with good food. So loosen up, open up the menu, order one of everything, savor each selection and get into the Margaritaville state of mind. Bon Appetit, Y’all!” ~ Jimmy Buffett.